Lush has been a hot topic around here since the preservative ‘debate’ which aired a few weeks back. The post I wrote has been very popular and greatly received so I’d like to thank everyone who took time to comment. My Lush journey was short and sweet. 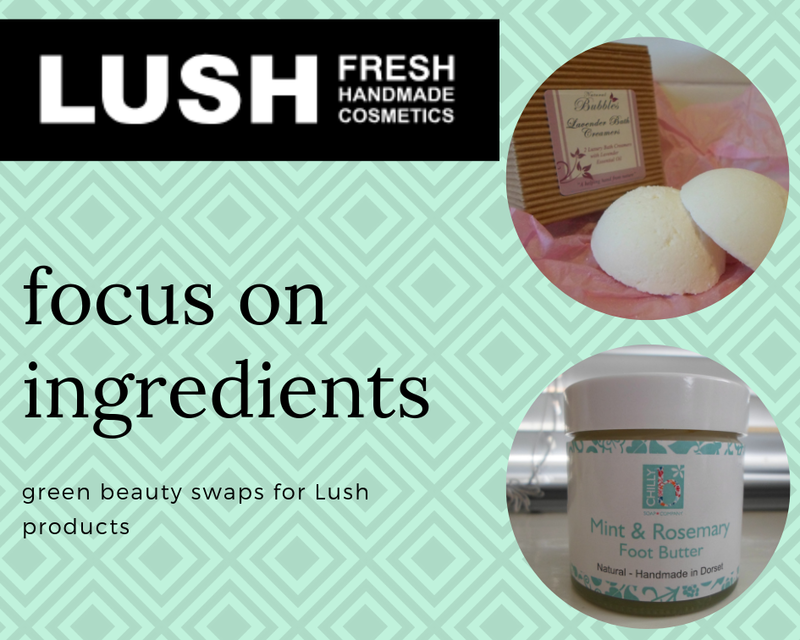 When my attention was first drawn to natural skincare Lush did spring to my mind based on what friends had told me about products. In my teens I was a devoted Body Shop customer. Anyone remember the Banana Conditioner? I thought it was fabulous. In my mind, Lush had the potential to fill a gap in my heart after The Body Shop sold out to L'Oreal. That fondness for earthy and authentic ingredients is what led me over the Lush threshold and I was enticed by Dream Cream. I had seen many reviews which practically declared it as the “cure” for eczema. For me, sadly the dream was short lived because my eczema hated this product. In hindsight, the ingredients in Dream Cream make sense as oats, rose, cocoa butter, olive oil, chamomile and lavender are ideal for sensitive skin. However, with further research I began to understand that tea tree, triethanolamine, perfume and parabens were potiential irritants. It was a lesson learned and in a small way was a bit of a life saver because I was a step closer to understanding my skin. I am writing this post in collaboration with Amber and Tamara. The idea is we each will show readers that cleaner ingredient dupes for Lush products are available. I have chosen three products from the Lush website and I will give you alternatives which in my opinion have better ingredients. Strong scents of bubblegum and candy are delightful but they will be artificial. This has the potential to cause problems for your skin, so whilst natural alternatives may not have the same allure with sugary scents at least you shouldn't get an itchy lady garden after bathing. Alternatively, I would also recommend Quintessentially English. They produce lovely bath bombs with flower petals if you want a bit of something extra in the tub. Chilly B Restoring Foot Butter - Ingredients: Shea Butter (Butyrospermum parkii), Cocoa Butter (Theobroma cacao), Sweet Almond Oil (Prunus dulcis), Vitamin E (Tocopherol) Peppermint (Mentha piperita), Vanilla (Vanilla planifolia), Rosemary (Rosmarinus officinalis), Eucalyptus (Eucalyptus globulas). I have been testing out Chilly B and think it works very well on my dry feet. It is super easy to find a foot cream without lanolin, perfume, parabens and colours. Most natural and organic brands have one in their range. In regards to Lush Dream Steam, aside from entertainment value (the tablet will fizz), the sodium bicarbonate in Dream Steam doesn't offer any benefits to the skin. Bathing Beauty products come without the fizz but also avoid the dreaded PERFUME! If you have a favourite Lush product and you would like a ditch it for better ingredients, get in touch with me (or Amber and Tamara) and I am sure we can find you an alternative. Great idea and I look forward to reading the other girls post too! I used to love the charcoal face soap and the olive shower gel. Best line ever, but lordy if I didn't have a body on fire. Bathing in a bath of SLS is not an enjoyable experience I'll tell you. I'm here to tell you it is not a relaxing experience. This is a great, great collab! We defnitely need to spread the word about LUSH being NOT a green brand.